The reported deaths of residents of Kargilik (Chinese: Yecheng) in Kashgar Prefecture on February 28 have taken place against a backdrop of a heavy Chinese security presence in the region, mass detentions and heightened restrictions on Uyghurs' religious practices. The Uyghur American Association (UAA) calls upon the international community to view official Chinese statements about the reported deaths with extreme caution until independent observers are allowed to investigate the incident. Chinese state media outlets reported on February 28 that an unknown number of "attackers" armed with knives killed at least 10 people in Kargilik, and that "police shot two of the assailants dead, while also chasing other attackers". The Global Times stated that a number of other individuals were also injured in the attack. However, a report by Radio Free Asia (RFA) on February 28 provided a contradictory account. RFA cited an unnamed Uyghur who claimed that a group of young Uyghurs killed three Chinese individuals, after which 12 Uyghur youths were then killed by armed police. RFA was unable to confirm this account. Kargilik is a predominantly Uyghur area in the southern part of East Turkestan that is situated approximately halfway between Kashgar and Hotan, on the southern edge of the Taklimakan Desert. "China's demonstrated lack of transparency when it comes to unrest in East Turkestan necessitates deep speculation of official Chinese claims," said UAA president Alim Seytoff. "In the absence of compelling evidence, international observers should be extremely careful when hearing Chinese claims about "rioters" and "terrorists". Harsh security measures and a heavy police presence in the region have created a climate of fear under which no one dares to speak the truth. The Chinese government, which is clearly not motivated to be open about the effects of its policies on the Uyghur population, therefore maintains a virtual monopoly on information coming out of the region." 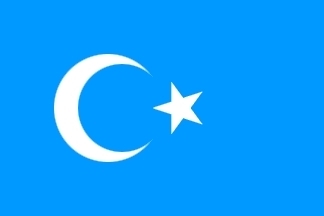 UAA strongly condemns all violence, and is extremely concerned that instances of unrest will only continue to increase in East Turkestan as unrelenting state security measures are heightened. Crackdowns on Uyghurs in East Turkestan, coupled with a rise in police and security monitoring, have been implemented since the unrest that took place in the regional capital of Urumchi on July 5, 2009. An untold number of Uyghurs were detained and "forcibly disappeared" beginning on July 5. More than 130,000 troops were specially deployed to East Turkestan from other regions of China in a bid to restore order and crack down on the Uyghur population following July 5. A blogger cited by the The Daily Telegraph [London] stated that he had seen "squads of Chinese police in riot gear keeping the peace" while passing through Kargilik in 2010. In August 2011, Beijing officials dispatched an elite anti-terrorism unit known as "Snow Leopard" to East Turkestan on the eve of a major trade expo taking place in Urumchi. ]In January 2012, authorities in East Turkestan announced that they were recruiting 8,000 police officers to the region to "beef up security in the vast countryside". Uyghur groups are concerned that this campaign, which is being carried out alongside a crackdown on "illegal religious activities", are fueling local tensions. In addition to these security measures, long-term measures carried out by the state have included the demolition of Uyghur cultural heritage in Kashgar, a monolingual language-planning policy, discriminatory hiring practices, and the encouragement of mass Han Chinese migration into the region. According to Western media reports, Chinese censors have actively blocked searches for "Yecheng" and "Kashgar" on online social media forums. This action continues a trend of the official suppression of information and media reportage that has been especially apparent in East Turkestan since July 2009. Immediately after July 5, government authorities initiated the world's longest-running Internet blackout throughout East Turkestan, which, together with the blockage of international phone calls and cell phone text messages, effectively prevented information from leaving the area. In some cases, Chinese security forces detained foreign reporters in East Turkestan in July 2009 and sent them away from the region. Hong Kong journalists were reportedly beaten by paramilitary police during unrest in Urumchi in September 2009. Chinese authorities have been less than forthcoming with information about the extrajudicial killings of seven Uyghurs on December 28 in Guma (Chinese: Pishan) County, which took place amid an official "strike hard" campaign in East Turkestan. Similar to the deaths that were reported to have taken place in nearby Kargilik on February 28, reports from state media outlets contradicted reports from overseas media regarding the nature of events in Guma, and failed to mention concerns over a missing six-year-old Uyghur boy who may have been killed in the incident. Heightened repression and accompanying unrest in East Turkestan reflect the heavy-handed, violent tactics of Xinjiang Party Secretary Zhang Chunxian. Despite his official image as a comparatively liberal leader, Zhang has reverted to the oppressive measures used by his predecessor Wang Lequan, and has failed to design policies examining the root of unrest in East Turkestan.